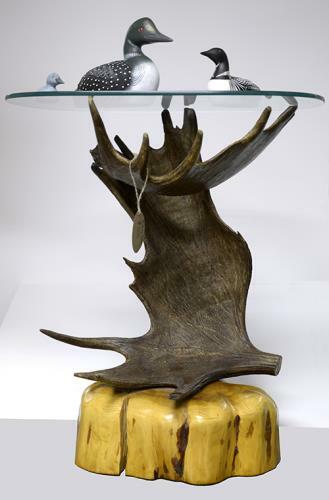 The handmade moose antler table stands 31" high. The glass table top is 26" long and 21" wide. Solid wood base. $600.00 Ornaments not included.